We know YOUR success is OUR success. Industrial Sorting Services was founded in December of 1999 by Joe and Angela Walden. They began full time operations in a 1,200 square foot self storage building in Berea, Kentucky. 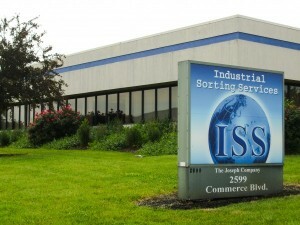 Since then, ISS has steadily grown and has built a reputation as one of the best sorting and containment companies in North America. Joe and Angela currently own 100,000 square feet of commercial space from which to operate.